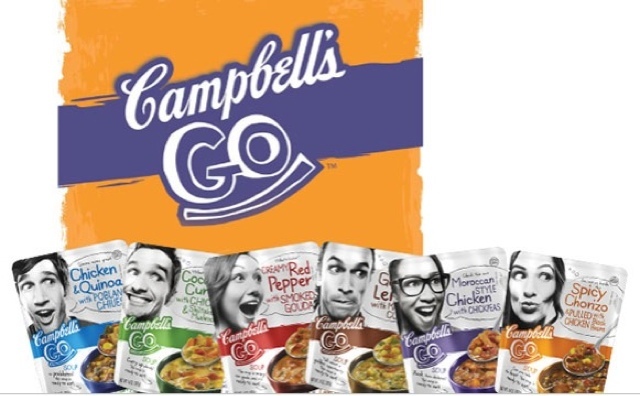 Whether you want to spice up your lunch hour or need shopping fuel, Campbell's new Go Soup is the perfect solution for fast meals without sacrificing the fun. Just toss in your tote & go! No need to carry around heavy, bulky lunch containers, the Go Soups come in a flexible lightweight pouches. 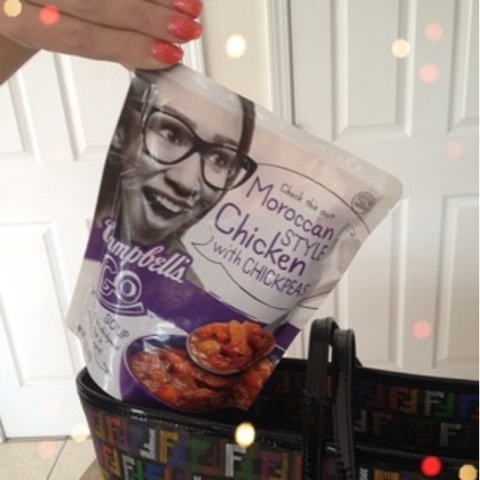 When it's time to eat, simply tear open the pouch & heat. Then pour & eat! Available in 6 new favors. This isn't your average chicken noodle soup!